Produced by J.F. Harris, Lukas Kaiser, Sue Smith and John Szeluga. Featuring performances by Mike Denny, Brendan Fitzgibbons, Jeffrey Joseph, Maria Heinegg, and Julie Kottakis! Stop by before the show for happy hour drink specials and open mic comedy. Hosted by Tim Duffy and John Szeluga. Featuring performances by Rojo Perez, Jordan Temple, Gabriel Pacheco, and more! Join us for some of NYC's best stand-up comedy, great beer and plenty of free parking close to the ferry and the train. Hosted by Naomi Karavani and Meghan O'Keefe. 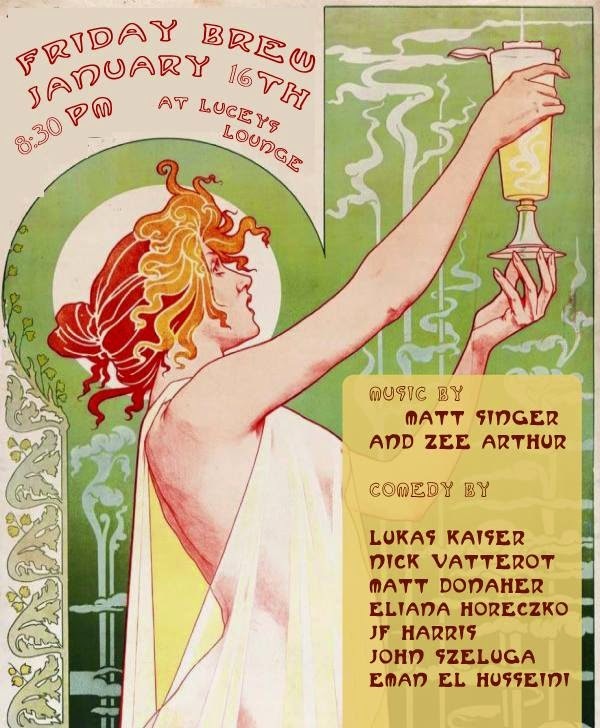 Featuring the comedy of by Lukas Kaiser, Langston Kerman, Matt Donaher, JF Harris, John Szeluga, Eliana Horeczko, and Eman El Husseini, PLUS musical performances by BLOMKY! and Zee Arthur.